In almost all organisations it is now essential to access the internet in order to run your business. Unfortunately, this not only leaves your business open to the threat of hackers and viruses trying to access your critical data and networks, it leaves your business vulnerable to subtler threats such as employees innocently accessing your networks via their mobiles, tables etc. not knowing that they could potentially be infecting your whole IT network systems. With businesses becoming increasingly mobile and more people working on the go, businesses are now required to have more disparate network systems and allowing employees to ‘bring your own device’ (BYOD), it is now vital to protect your IT systems and devices from viruses and malware to safeguard the security of your IT network and business systems. Amitech IT’s managed security solution is not only designed to give you peace of mind. 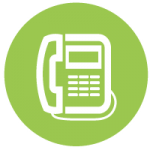 Our solution offers an alerting systems to let our dedicated and experienced technical team know if your IT security isn’t working effectively or if updates has failed so that we can take action. Effective IT security can also boost business productivity with the availability of activity web monitoring, enabling you to block certain websites and monitor the web pages that your staff are accessing. 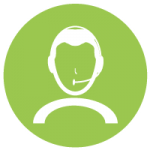 Our aim is to relieve customers of the time consuming administrative burden of checking that your antivirus is running effectively, we will do the hard work for you. Quick and easy to deploy Amitech IT can make your business systems secure in no time at all. All Sophos solutions that we offer are fully managed by our technical team to ensure that your security solution is running at its optimal level. 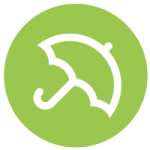 What is Endpoint Protection? Endpoint protection is a technology that protects your computer devices (endpoints) such as laptops, mobiles, PC’s, tablets etc. that are used to access your business IT network which can potentially create vulnerability trails for security breaches. Award winning Sophos Endpoint Protection blocks malware and infections by skilfully identifying and preventing the handful of techniques and behaviours used in almost every security exploit. Sophos PureMessage integrates seamlessly with Microsoft Exchange to guard your IT systems against email-borne threats such as spam, phishing, viruses and spyware. PureMessage enables your users to work productively and securely by scanning inbound, outbound and internal email to guard against spam as well as the latest threats. Not only does PureMessage protect your IT system it can also provide useful insight into email traffic profiles and threat protection through a real-time dashboard. Sophos XG Firewall provides unprecedented visibility into your network, users, and applications right from the all-new control centre. XG Firewall enables you to view the status of your system performance, services, connections, and other system parameters in real-time. Green indicates everything is fine, orange indicates a warning, and red indicates something needs immediate attention. Sophos Mobile Control secures mobile devices and protects your business data without impacting on employee productivity. Many businesses are struggling to balance productivity, diversity of mobile platforms and employees demands for ‘bring your own device’ (BYOD). The pressure is on businesses to manage mobile demands and enable mobile productivity. Sophos Mobile Control isolates business and personal data on mobile devises with containers and encrypts all data on the mobile devices without impacting on employee productivity. By separating business and personal data users can personalise their device while keeping their personal data separate from their business data. Sophos Intercept X adds next-generation signatureless technologies on top of your current endpoint security to give you complete, layered protection. The days of straightforward file scanning are long gone. Your goal is now to prevent threats from reaching your devices, stop them before they run, detect them if they have bypassed preventative methods, and not just clean up malware, but analyse and undo everything it does to your endpoints. 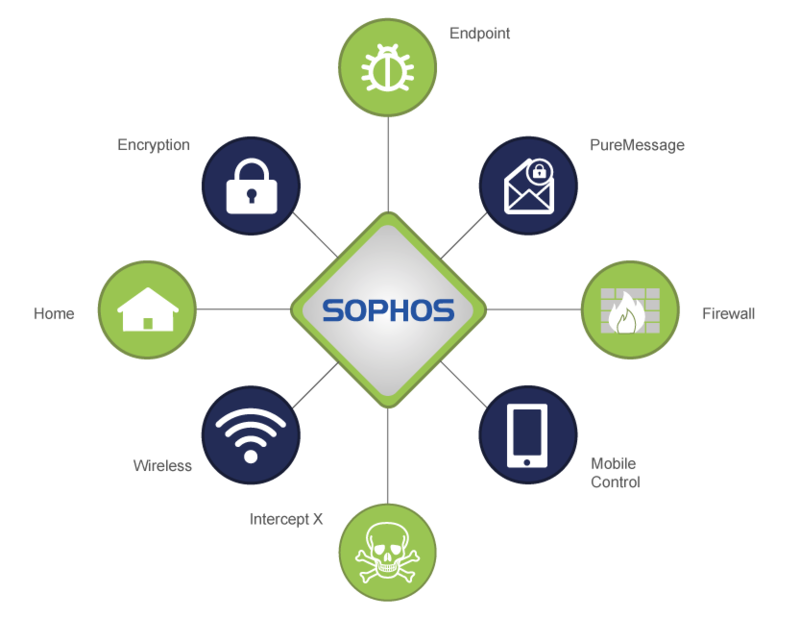 Sophos Wireless provides a simple, effective way to manage and secure your wireless networks. With Sophos Wireless you’ll know exactly what’s happening with your users and your wireless networks to avoid behaviour which could put your security at risk. See which traffic is using your bandwidth to optimize the performance of your Wi-Fi and alert you to potential unwanted use of your resources. Provide controlled internet access for visitors, contractors and other guests on your network. Using a daily password or time-based voucher. Sophos SafeGuard Encryption offers a complete data protection solution for your business. Protecting data on multiple devices across a range of operating systems. 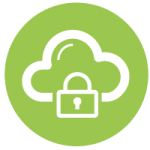 Ideal for medium to large sized businesses, Sophos SafeGuard Encryption is reliable, easy to manage and covers a wide range of hardware platforms and devices.